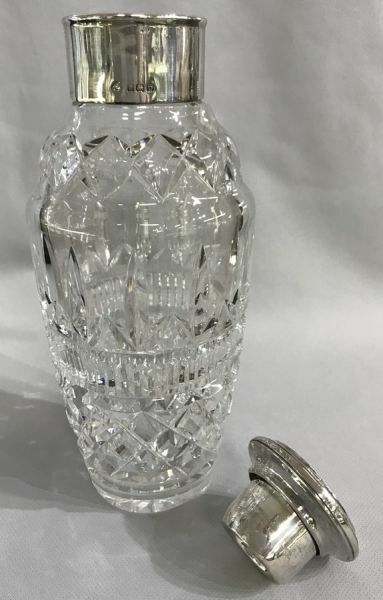 English Art Deco sterling silver and cut crystal cocktail shaker. The sterling cover and collar are hallmarked Birmingham, 1928. Made by the silversmithing company Adie Brothers Ltd.
9” high, 3 1/2” diameter.